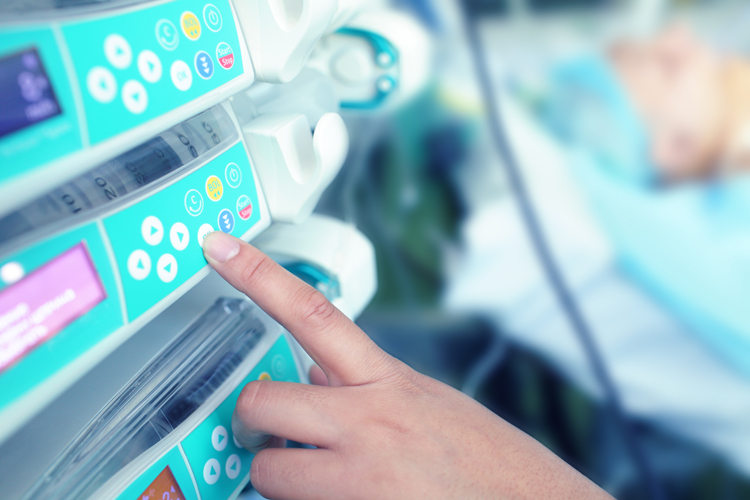 As an Intensive Care Unit (ICU) can often be an overwhelming place, it can be useful to know a little about what to expect. Our ICU is part of an extensive network of intensive care units, NHS Trusts and Local Health Commissioners that support innovative, integrated, high-quality critical care. These Operational Delivery Networks (ODN) coordinate care and St Peter's is in the Kent Surrey and Sussex ODN. Within the hospital, ICU is part of the Theatre, Anaesthetics, Surgery and Critical Care (TASCC) Directorate. The purpose built unit opened in July 1998. It is a 9 bedded ward providing 24 hour care for eight – Level 3, and one - Level 2, beds (see note below). In May 2017 the HDU that was situated on Aspen Ward was relocated in to a new unit adjoining the ICU to create a single critical care unit accommodating 15 beds. The team is led by Clinical Lead - Dr Barry Sellick and Clinical Nurse Leader - Roselin Benedict-Felix. The Critical Care service provides care for the sickest patients in the Trust and those requiring higher levels of nursing and/or medical support than can be offered by a general ward. The nursing and medical staff are therefore specially trained to deliver the highest possible care to these vulnerable patients. Level 2 care - patients requiring more detailed observation or intervention including support for a single failing organ system or post-operative care and those 'stepping down' from higher levels of care. Level 3 care - patients needing advanced respiratory support alone or two, or more, organs system support. This level includes beds for all complex patients requiring support for multi-organ failure.